We think we’re the first advanced earthlings — but how do we really know? We think we're the first advanced earthlings -- but how do we really know? 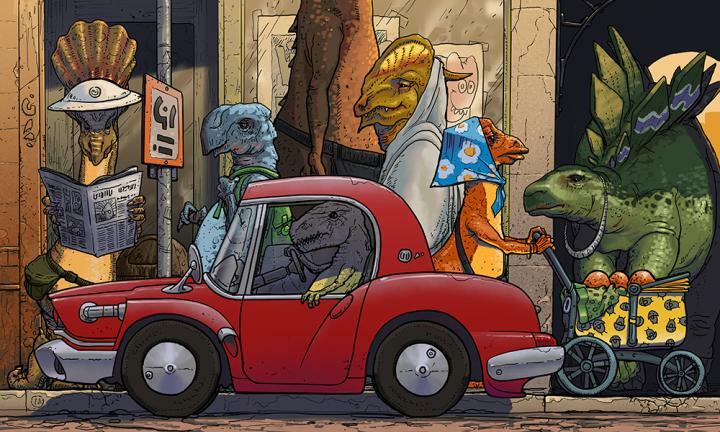 Imagine if, many millions of years ago, dinosaurs drove cars through cities of mile-high buildings. A preposterous idea, right? Over the course of tens of millions of years, however, all of the direct evidence of a civilization–its artifacts and remains–gets ground to dust. How do we really know, then, that there weren't previous industrial civilizations on Earth that rose and fell long before human beings appeared?